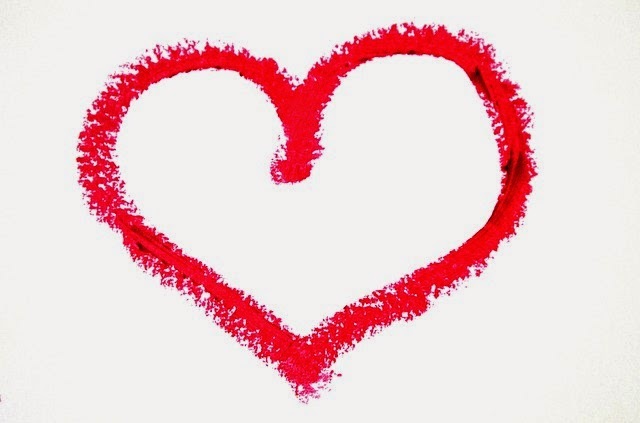 Valentine's Day Love Nature Celebration--Prairie View Education Center Crystal Lake. Celebrate your love for nature and family together! This free afternoon event runs 3PM-6PM and includes crafts, nature games, s'mores over a campfire, hot cocoa and more! At 4PM there will be a presentation introducing families to winter active creatures using live animals, puppets, songs and more. At 5PM, there will be a nature hike along a candle lit path! Valentine's Day Card Making at Mariano's: Need to stop at Mariano's for last minute items for Valentine's Day dinner? Well, they will have Valentine's Day card making for the kids--so what a great way to entertain them a little during your grocery shopping! Summer Color in winter during the Orchid Show at The Chicago Botanic Garden: One thing I delight in around Valentine's Day is the emergence of vibrant colors! The Orchid Show will provide extra bursts of color throughout Chicago Botanic Garden's greenhouses. The event begins Valentine's Day and runs through March 15. How about a nice warm weather walk with the family during the winter to celebrate the holiday? Tickets are $10 for adults, $8 for seniors and kids with those under 2 free ($8 and $6 respectively for members). Parking can be paid for online for $20 per car. Heart-shaped pizzas, complimentary Frangelico Chocolate Cake and complimentary champagne toasts (for mom & dad) at Pinstripes: Take the kids to Pinstripes February 13-15 for some bowling, bocce and dinner! 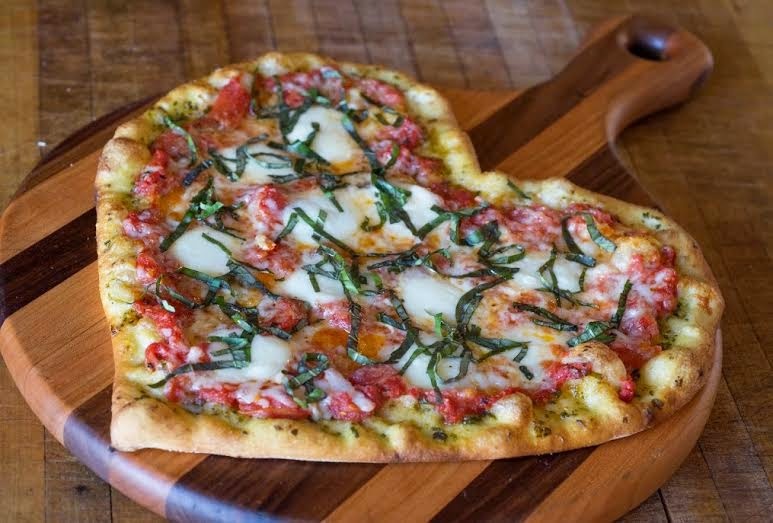 To add some Valentine's Day charm, order a heart-shaped pizza made in a wood-burning oven! Diners will be delighted with complimentary slices of Frangelico Chocolate Cake--a decadent flourless chocolate cake infused with Frangelico liquour served with whipped cream, red grapes and strawberry sauce. Plus, diners over 21 will be treated to a complimentary champagne toast. Reservations are recommended for bowling, bocce and dining! Pizzas range in price from approximately $12-$13. Fountain Creations at Circa '57: Talk about a fun *and* sweet way to celebrate Valentine's Day with the kiddos! How about a a good, old fashioned malt or milkshake while sitting in a '50's diner or bungalow! We love Circa for family time and Valentine's is definitely the day to indulge the sweet tooth! For a peek inside, check out our previous visit to Circa 57. Indulgent chocolate creations at Anna Shea: How about at trip to Anna Shea at the Arboretum Shops for some breathtaking chocolate creations? Anna Shea also has cupcakes, gelato, hot chocolates, fondue and more. Chocolate coma, anyone? Well, Valentine's Day is the day to do it and the kids will always remember their trip to Anna Shea!